When I first tried peanut sauce at a restaurant, I remember enjoying it so much that I wanted to learn to make it at home. I didn’t do too much cooking a few years ago so that left peanut sauce for dining out only. In the past couple years, I’ve been experimenting with different recipes. I’ve found that it isn’t about the exact measures but more about the ingredients. 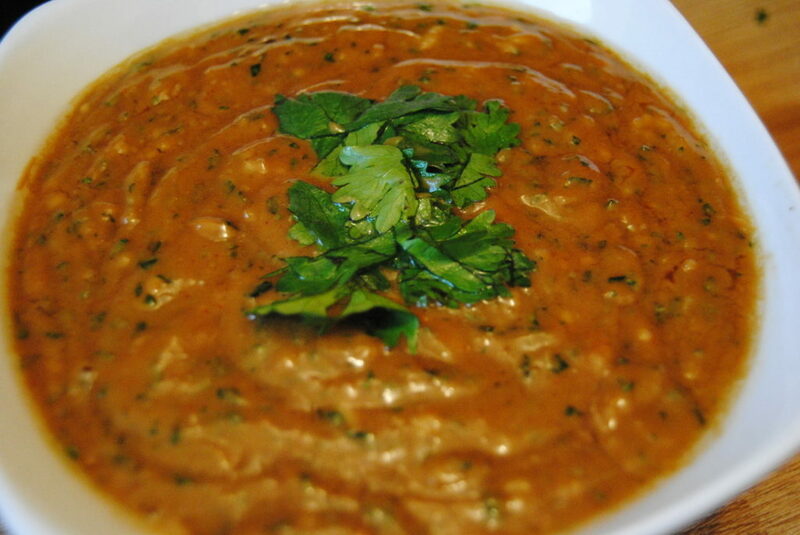 Here are the key ingredients to make a good peanut sauce…peanut butter, garlic, ginger, honey, cilantro (coriander), fresh lime, sesame oil, soy sauce and rice wine vinegar. Depending on how thick you want it, you can mix up the amounts. Make sure to use organic peanut butter or at least natural peanut butter. The main commercial brands are full of sugar and chemicals. Add more peanut butter for a thicker sauce but add more of the vinegars and oils if you want a runny sauce. 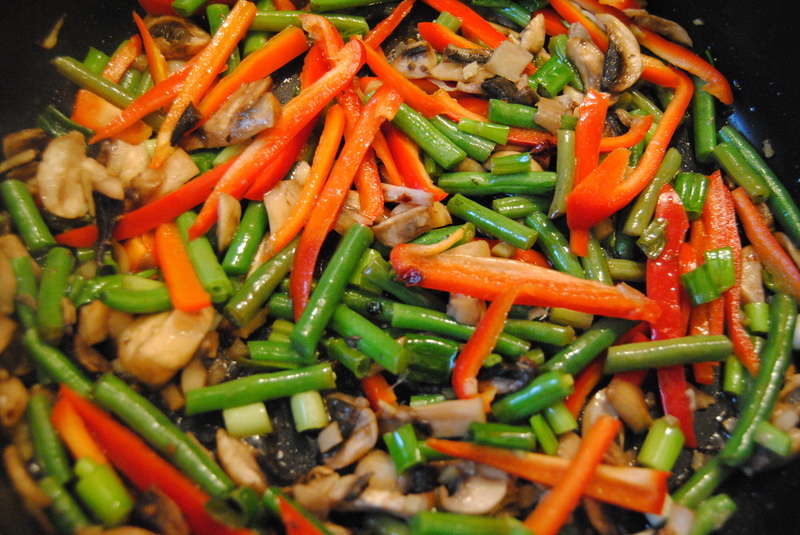 The liquidy sauces are good to add to stir fried vegetables. You can mix everything together and add it on top of rice noodles or brown rice. I wanted a thicker sauce so I could use it as a dip. I’m going to attempt homemade spring rolls this weekend so thought it would be perfect. In the meantime, I cooked green beans, red peppers, green onions and mushrooms in an Asian style. Rather than olive oil, I used sesame oil then added garlic, ginger and rice wine vinegar. When it was finished cooking, I added a few spoons of the sauce and sprinkled sesame seeds on top. I didn’t use specific measurements in this peanut sauce but I will try and recipize it so it’s close. Feel free to add in a few extra drops of the ingredients to experiment how the flavours change. Mix everything together in a blender or food processor. Enjoy!